First, it’s important to understand how and why a car battery fails. The condition of the cell plates inside the battery determines whether or not a battery is still serviceable. 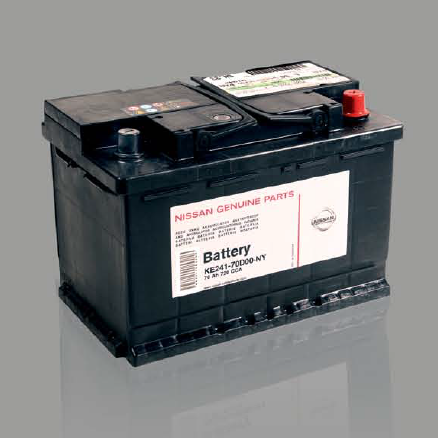 Current is produced when sulfuric acid in the battery reacts with lead in the cell plates. As the battery discharges, sulfate accumulates on the plates and reduces the battery’s ability to make current. The sulfate is returned to solution when the alternator recharges the battery by forcing current to flow in the opposite direction. Over time, some of the sulfate becomes permanently attached to the plates. The sulfate forms a barrier that diminishes the battery’s ability to produce and store electricity. This process can be accelerated if the battery is run down frequently or is allowed to remain in a discharged state for more than a few days. If the plates have become sulfated, therefore, the battery won’t accept a charge and will have to be replaced. Average battery life is only about four to five years under the best of circumstances — and sometimes as short as two to three years in extremely hot climates such as Arizona and New Mexico. But the battery may become “sulfated” prematurely if it is chronically undercharged (due to charging problems or frequent use of electronics without the engine running), or if the water level inside the battery drops below the top of the cell plates as a result of hot weather or overcharging, allowing the cell plates to dry out. NEXT: How can I test my battery, and maintain my battery so it lasts longer?